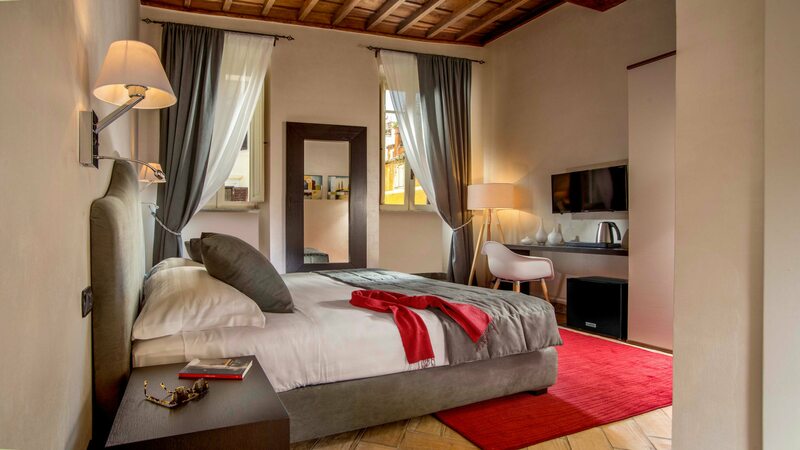 ONLY OFFICIAL SITE YOU CAN FIND THE BEST OFFERS! 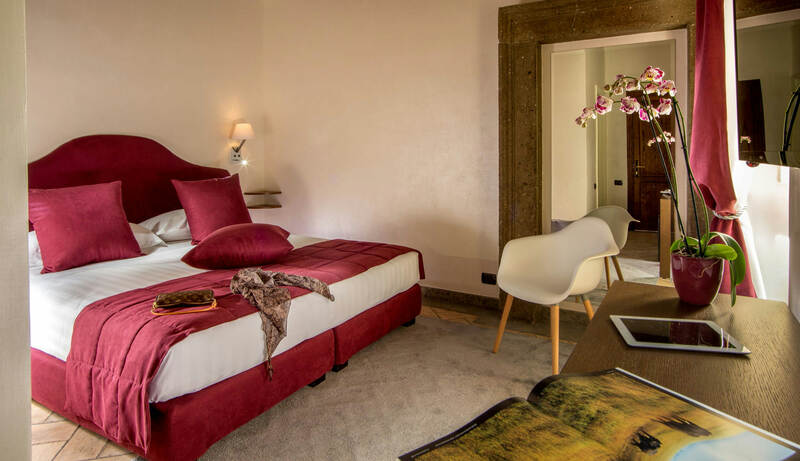 Her unique location, the art of hospitality and wellness: this is Palazzo Medusa. 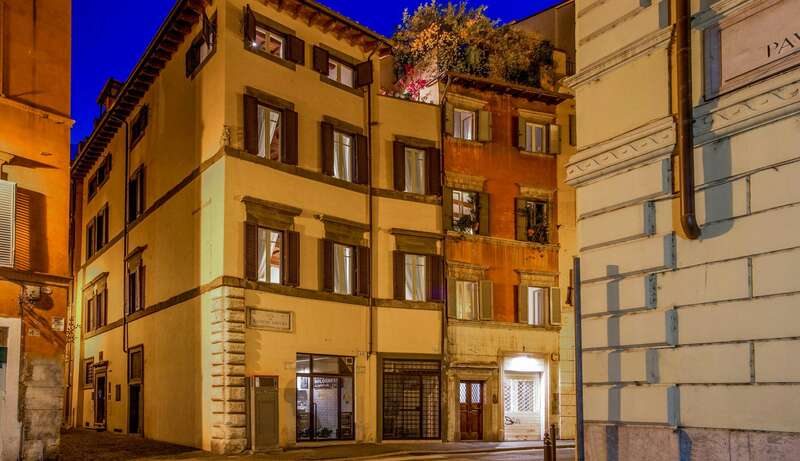 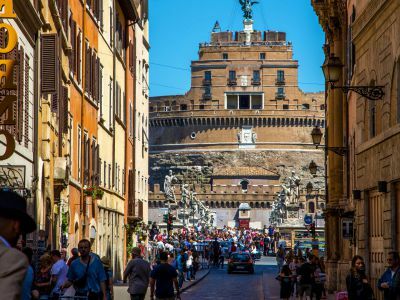 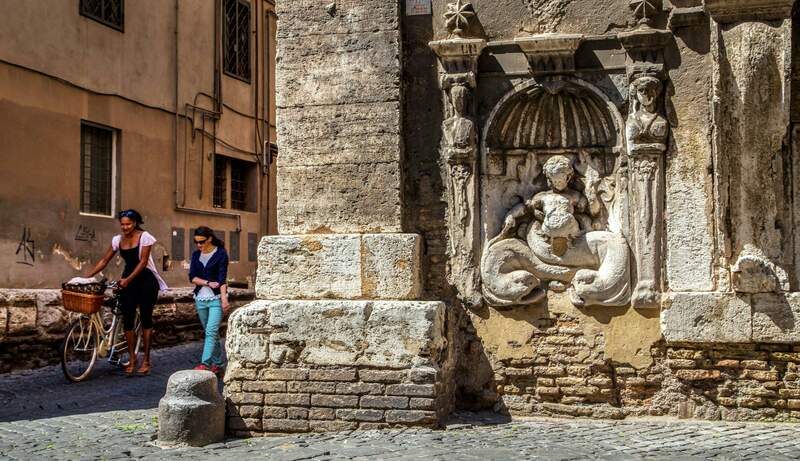 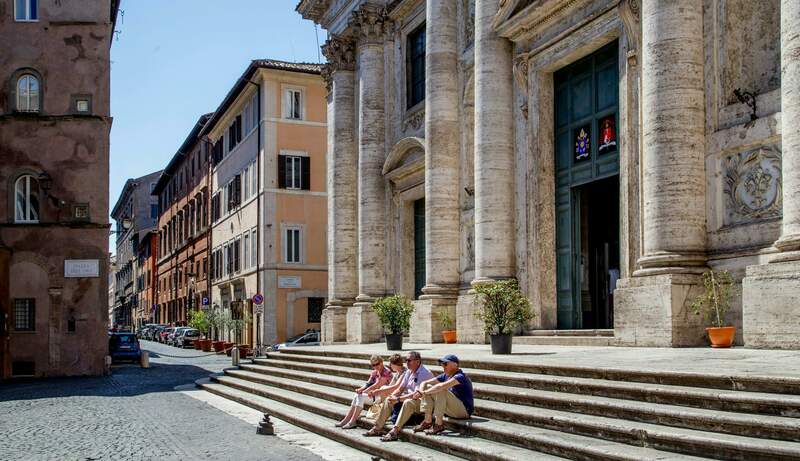 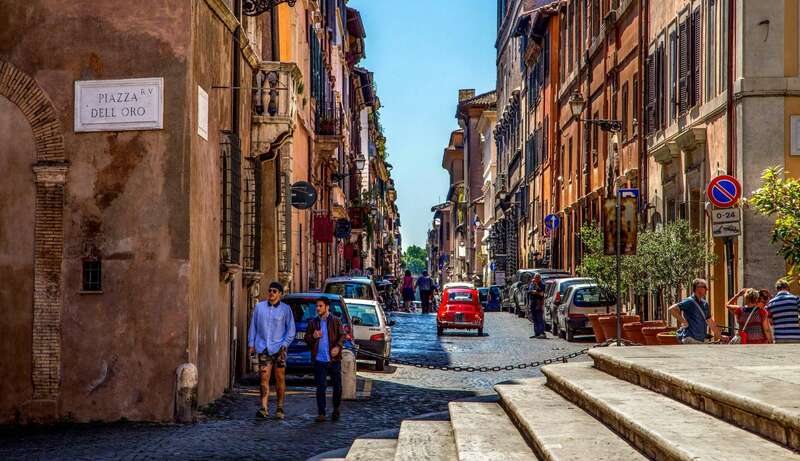 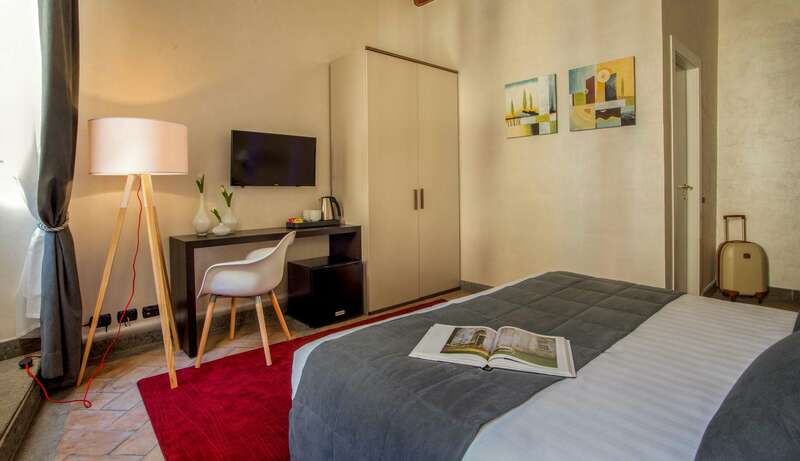 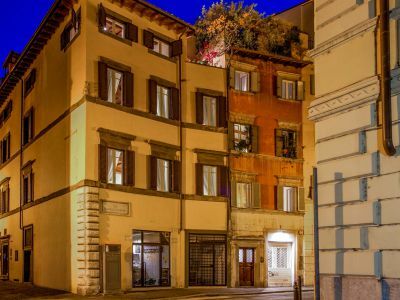 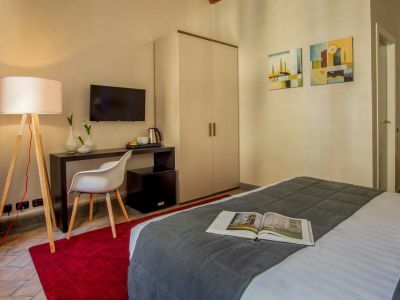 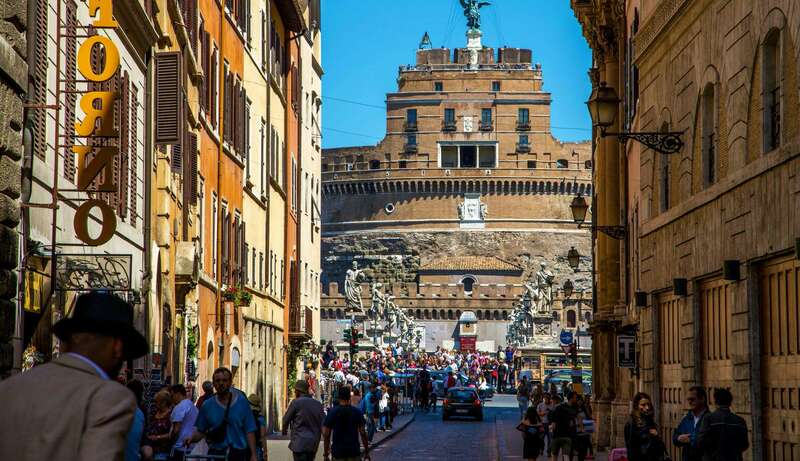 Located in the hearth of Rome, just few steps away from the most important attractions of the City and the opportunity of staying exaclty between two historic locations: the Vatican and Navona Square. 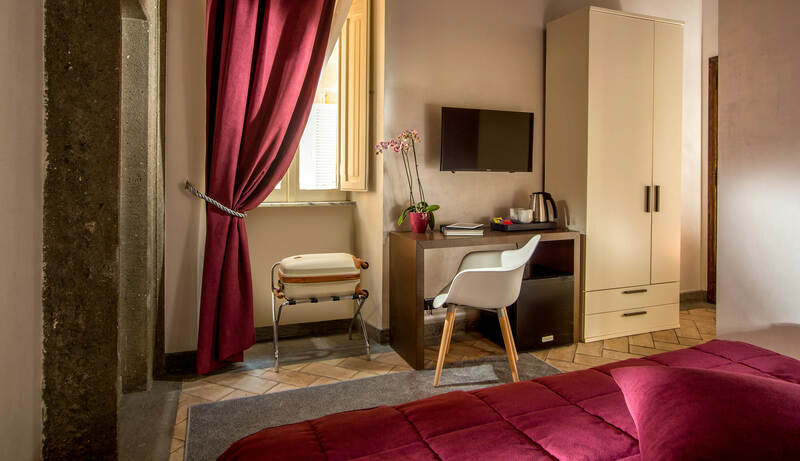 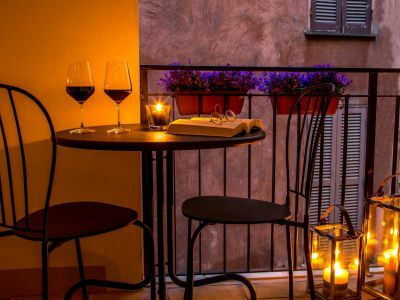 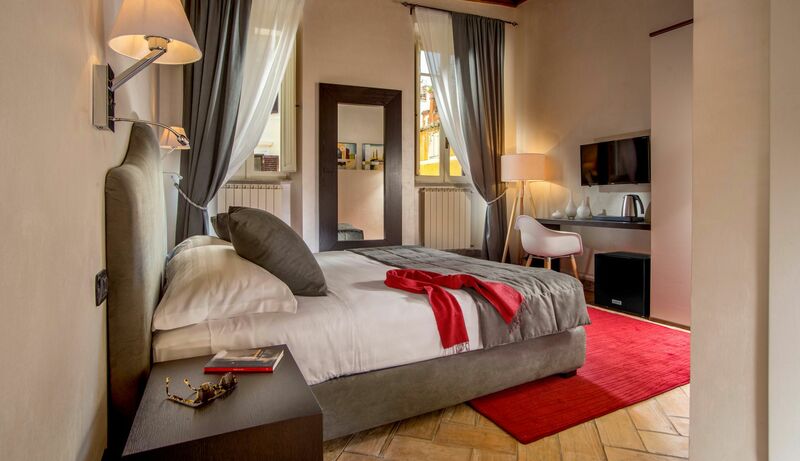 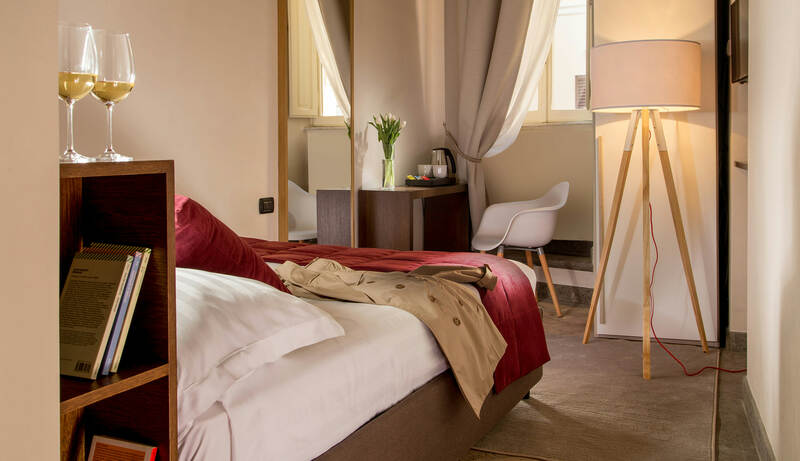 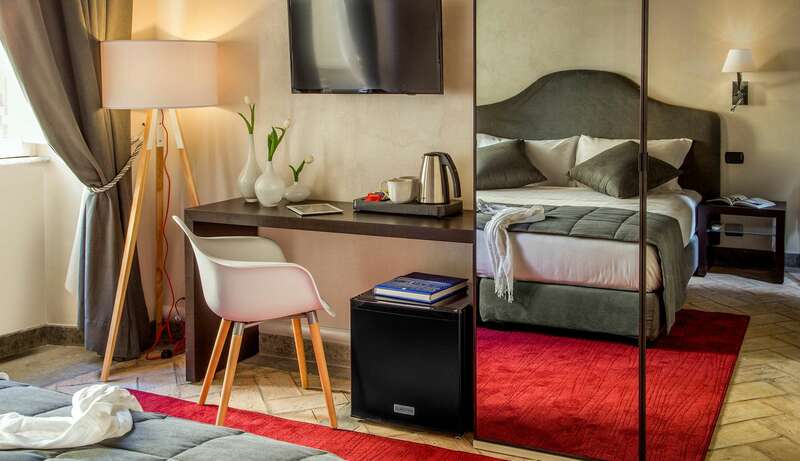 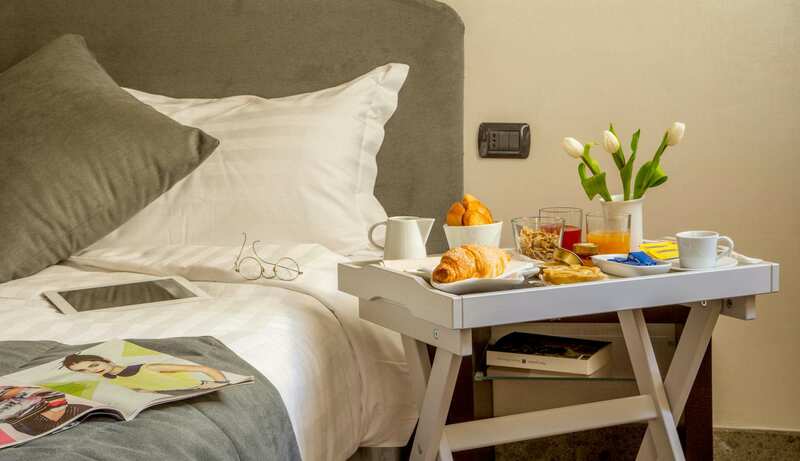 Six wonderfull Suites compose Palazzo Medusa, in which class and well treatment meet with the view those can offer on one of the most central street of Rome: Via Dei Banchi Vecchi. 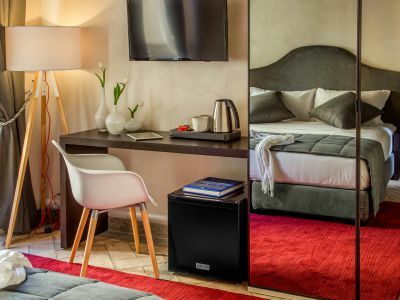 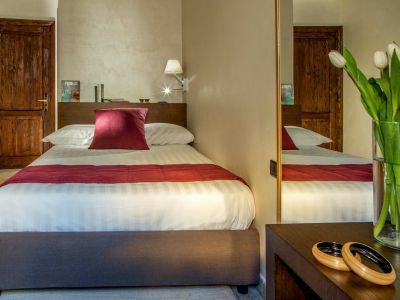 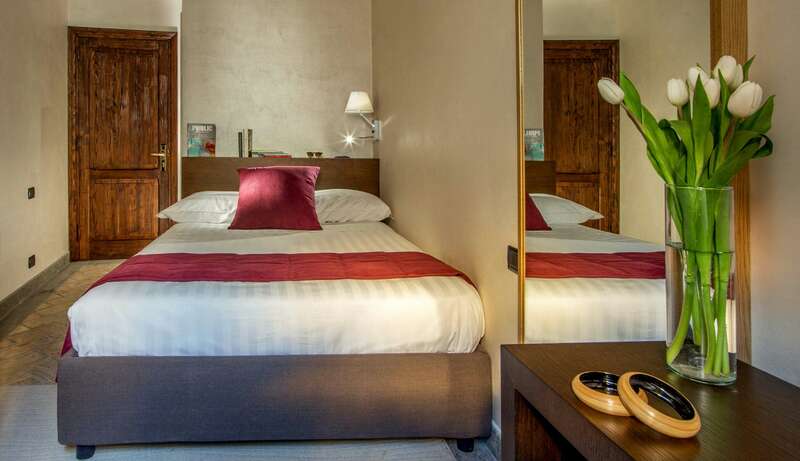 All the rooms are composed with unique and designed furniture, a private bathroom which is provided with all comforts and with wide showers equipped with the “tropical shower" effect, 28 and 32 inches Smart TV, soft drinks in the Minibar, Free WiFi but above all the priceless view. 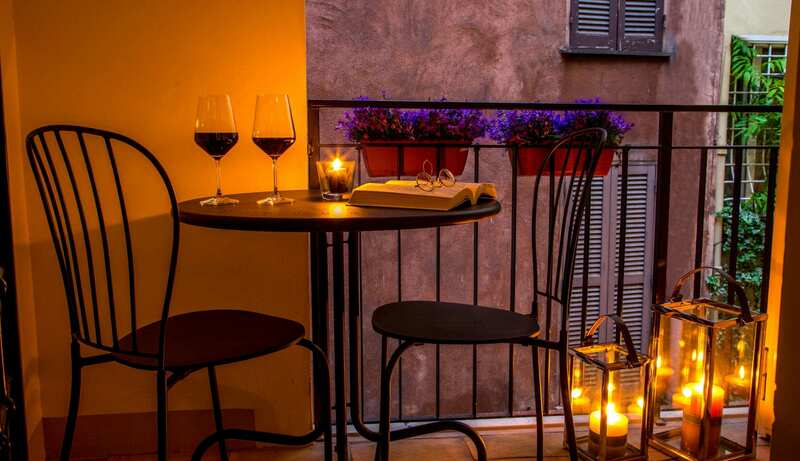 Location in the heart of Rome, just a short walk from key attractions and with the possibility of staying in the historical center of Eternal City.